In advance of this Saturday’s opening stage of the 2011 Tour de France, here is the second part of my overview of the 22 teams and their title sponsors. The final list of 198 participants is, of course, subject to last-minute changes prior to the start of the race. Tomorrow I will look at the key contenders in closer detail, after which will follow previews of both the opening stage and the key days when the Tour will be won or lost. Sponsors: The management company of team manager Brian Nygaard and an American bicycle manufacturer. Overview: The team’s main objective will be to push Andy Schleck onto the top step of the Paris podium – having finished second to Alberto Contador in each of the last two years – although Fabian Cancellara will also start as favourite for the individual time trial. Despite being a new team, Leopard-Trek can boast one of the strongest nine-man squads at the Tour. The experience and all-round ability of Stuart O’Grady and Linus Gerdemann provide all-round horsepower, while Cancellara and the evergreen Jens Voigt will set the initial pace in the mountains before handing over to Jakob Fuglsang, Maxime Monfort and finally Fränk Schleck to do the heavy lifting. This trio will seek to isolate Contador from his team and hit the defending champion with repeated attacks to set up their main man. Sponsors: An Italian distributor of liquefied petroleum gas (LPG) and an American bicycle manufacturer. Overview: A relatively young and inexperienced Liquigas squad will be relying on team leader Ivan Basso to turn around his form, which has been poor since a training accident on Mount Etna in May, with a lowly 26th-place finish at the Dauphiné. Alessandro Vanotti and Paolo Borghini will provide experienced support, while Sylwester Szmyd will be his chief lieutenant on the big climbs. Daniel Oss is a contender for the white jersey for the best young rider, but otherwise Liquigas will probably be restricted to trying to sneak a stage win via a successful break. Sponsor: A Spanish mobile telecoms operator. Overview: The last team to confirm their line-up, Movistar will target stage wins on all terrains. All-rounder Vasil Kiryienka and sprinter Francisco Ventoso both won stages at the Giro, while David Arroyo, the runner-up at last year’s Giro, will lead the team. He, Beñat Intxausti and Kiryienka are all capable of strong performances in the mountains, while José Joaquín Rojas provides an alternative to Ventoso in the sprints. However, there is no disguising the fact that the team will be without two of its key riders. Xavier Tondó, who was killed in a tragic accident just eight months after finshing sixth at the Vuelta, would most likely have been the team’s main GC contender here. And Mauricio Soler, who is recovering from serious head injuries sustained in a crash at the Tour de Suisse, would have been among the favourites in the King of the Mountains competition. Sponsors: A Belgian pharmaceutical company and the country’s national lottery. Overview: Omega Pharma will bring a three-pronged approach to the Tour, with Jurgen Van Den Broeck (fifth last year) their GC contender, while André Greipel will be looking to outwit former HTC-Highroad teammate Mark Cavendish in the bunch sprints and the race for the green jersey. But their best shot at the yellow jersey resides with the current king of the classics, Philippe Gilbert – winner this year of Amstel Gold, Flèche-Wallonne and Liège-Bastogne-Liège – who will thrive on the uphill finishes scattered throughout the opening week. In particular, look for him on stage four, which finishes on the third-category Mûr-de-Bretagne. It is a parcours tailor-made for a late Gilbert attack – and it is also his 29th birthday. Sponsor: A Belgian laminate flooring manufacturer. 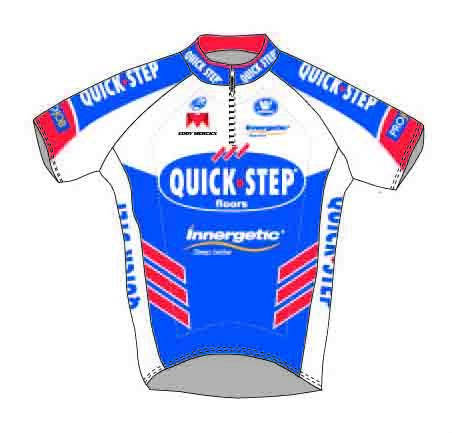 Overview: Quick Step have said their main focus is on stage wins, although they will also look to help Kevin De Weert, who finished 18th overall last year. Sylvain Chavanel (who wore the yellow jersey and won two stages last year) and Jérôme Pineau (who had two spells in the polka dot jersey in 2010) are both combative riders who will stand a good chance in breakaways. Chavanel won two stages last year, including one in Spa where he went solo on the kind of lumpy profile which features heavily in the first week. The trio of Tom Boonen, Gert Steegmans and Gerald Ciolek are unlikely to win any bunch sprints, but may benefit in any scrappy, fragmented finishes. Overview: With Denis Menchov now at Geox-TMC and Óscar Freire absent (sinus operation), Robert Gesink is the undisputed leader on a team packed with climbers which can be expected to animate the big mountains stages. The squad includes Bauke Mollema and Laurens ten Dam (fifth and eighth at the recent Tour de Suisse), Luis León Sánchez (11th at the Tour, tenth at the Vuelta last year) and Juan Manuel Gárate (who has three top ten overall finishes at the Giro to his name). Gesink finished sixth overall at last year’s Tour, and a top five finish is a realistic prospect for him. Sponsor: A US electronics retailer. Overview: Lance Armstrong‘s former team will start with four captains and no big-name sprinter, with both Robbie McEwen and Robbie Hunter left out. Veterans Chris Horner (39), Levi Leipheimer (37) and Andreas Klöden (36) are among the most experienced riders in this year’s race, and each has claimed a significant stage race win this season (the Tour of California, Tour de Suisse and Tour of the Basque Country respectively). Janez Brajkovič is the baby of the group at 27, but the winner of last year’s Dauphiné is an accomplished climber and time-trialist who may well turn out to be the freshest of the four in the final week of the Tour – if he is allowed a free rein, that is. Yaroslav Popovych and Haimar Zubeldia are among the strongest and most experienced domestiques in the entire peloton, with the former a likely candidate to slip into breakaways. 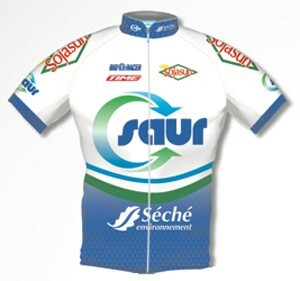 Sponsors: A French water and environmental services company and a French health food company. Overview: Arguably the weakest of the four wild-card teams, Saur-Sojasun will start the Tour without their top sprinter Jimmy Casper, who has been left out. A largely unknown team will focus on profiting from any opportunity to put men into breakaways. Perhaps the strongest member of their team is Jérôme Coppel, who was 13th at this year’s Dauphiné (having finished fifth in 2010), and will most likely seek a breakaway win. Sponsors: A Danish bank and a US-based multinational software corporation. Overview: The team is built around Alberto Contador, who will be seeking to win the Tour for the fourth time before facing a hearing at the Court of Arbitration for Sport which could potentially take both his 2010 win and 2011 results away from him. Contador will be supported by a deep phalanx of climbers, including compatriots Jesús Hernández, Benjamín Noval and Daniel Navarro, Chris Anker Sørensen and Richie Porte. Expect them to keep a low profile on the flatter stages, meaning they will be largely invisible until the race hits the Pyrenees. Sponsor: A satellite television broadcaster. Overview: After a disappointing Tour debut in 2010, Sky will be returning wiser and stronger. Bradley Wiggins remains as the team’s focal point, and will be confident after his win at the Dauphiné. However the team will be stronger in the mountains for the presence of new recruits Rigoberto Urán and Xabier Zandio. Ben Swift will be the lead man on the sprint stages. As a team, Sky will be among the favourites for the team time trial on stage two. And success there could set up Edvald Boasson Hagen for a stint in the yellow jersey, as the Norwegian is well suited to week one’s hilly stages (although his participation is in doubt at the time of writing after he was diagnosed with shingles at the weekend). Sponsors: A European organiser of luxury camping holidays and a Belgian farm supply company. Overview: The team will target the sprints with Romain Feillu, who has seven wins to his name already in 2011, taking precedence over Borut Božič (who has won stages at the Tour de Suisse this year and the Vuelta a España in 2009). However, they may struggle in the rarefied environment of a Tour bunch sprint. Their best chance of a win may come from Johnny Hoogerland, who can be expected to feature regularly in breakaways.